What a feeling of relief it is when the medical personnel informs you that your elderly loved one is recovering well and ready to be released from the hospital after surgery. But as they hand you that stack of discharge papers and instructions, a bit of anxiety may start to creep in. Will your senior loved one be able to care for himself at home? Who will take care of picking up prescriptions? Do I need to depend on a relative for this chore? Will he or she be available when a refill is needed? Who will answer questions about the medications? Should I contact the doctor, the pharmacist, or does the hospital have someone else for me to contact with questions about care? What kind of medical equipment might be necessary (such as a walker, crutches, or telehealth devices), and who will provide them? What activities are not recommended after recovering from surgery? What signs or symptoms should I keep an eye out for that could signify a problem during recovery? Empowering yourself and your senior loved one with knowledge can clear the way for a smoother transition from hospital to home, but the ideal way to prevent post-hospitalization challenges is by engaging the services of a professional home care agency such as Visiting Angels. 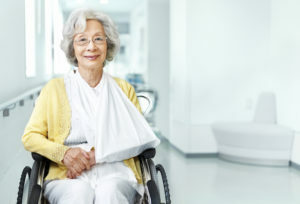 As an experienced leader in San Jose home care, we can help your senior loved one get settled back in comfortably after surgery, pick up prescriptions, and make sure your loved one stays safe and well. Contact us any time online or call us at 408-610-9996 to learn more.